Well, we’re a week away from the US presidential inauguration, so expect at least one post on that to break up Money Month next week. In the meantime, following all kinds of political and media shenanigans in the run up to said event (good grief, what a week…), let’s have an issues-dense round up of links, shall we? A brief note: I’m not going to be linking to any of the news coverage about the publication of documents supposedly compiled about the President-elect. Because at this point I almost don’t care if any of the information contained in it turns out to be accurate (at time of writing all of the info is still unsubstantiated) or not. That shady business dealings and divergent sexual behaviors have been documented or alleged in Mr. Trump’s past is a matter of recorded fact, it should shock no one to think that it could happen again. To me the idea that a story of romps with Russian escorts caught on tape by an unfriendly government even feels like it could be plausible is a sobering snapshot of our democracy at the moment for me. It’s depressing as hell, but no one gets to claim that they are shocked–shocked!–by the possibility, in my opinion. And of course, the allegations that there was any type of collusion between members of his staff and a foreign government are potentially incendiary…but again, not entirely new in this campaign. This is who we elected, people. He wasn’t shy about courting controversy at any point in the past four decades, and the expectation that he might “settle” into the office has always seemed wildly optimistic to me. Finally, the last person who should be whining about people spreading false information about him, should this indeed be the case, is Mr. Trump himself. He helped make this media bed…finish the rest of this saying how you see fit given the circumstances. 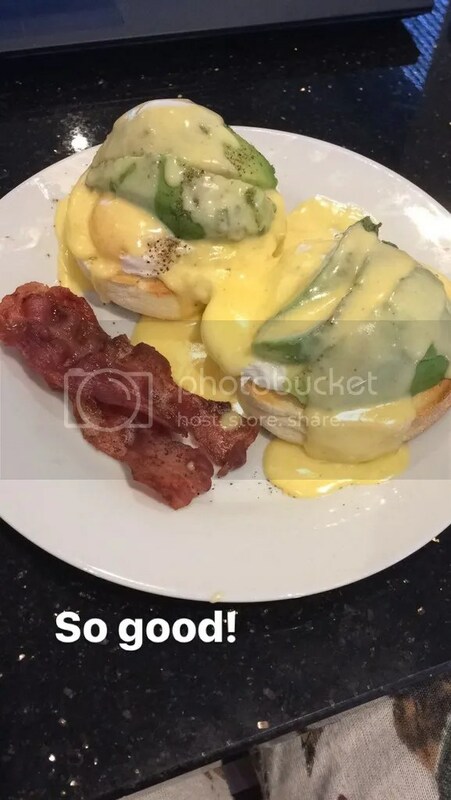 Self medicating with hollandaise sauce. Studying the arts is fatal to prejudice. One of the most eye-opening courses I took at university was one on Islamic art. I can certainly do better about cultivating my own intersectional feminism. Read with me, will you? Right up SDS content alley! A bit of a tear jerker profile, but a good one. The commercialization of style and who gets paid. It’s not always who you think. And speaking of government lockdowns on uteri: GET HYPE! Also, get prepared to go to the political mattresses (pun very much intended) over the rights of women and girls at the first sign of them being walked back or taken away. Meanwhile, in other foreign-governments-with-which-we-may-suddenly-be-friends-but-maybe-not-who-knows news, holy crap. Speaking of gender rights, a story from a couple of weeks ago that flew under my radar but should NOT have. Meryl Streep, ladies and gentlemen! Tracey Ellis Ross, ladies and gentlemen!